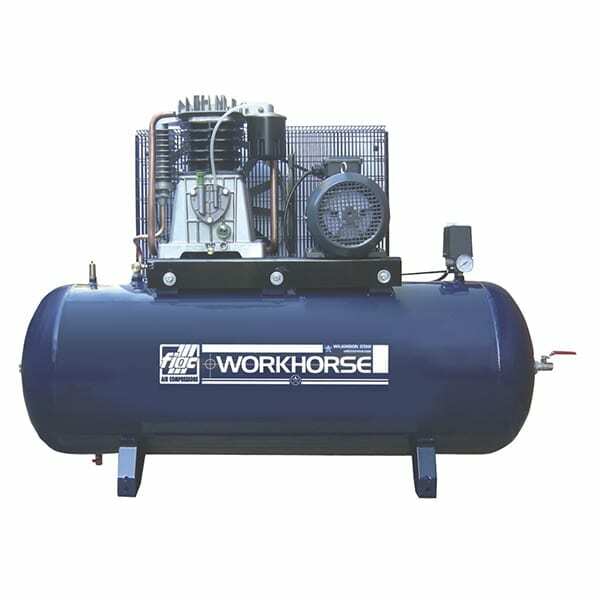 The Fiac Workhorse WRN7.5HP 270S Belt Driven Air Compressor is a three phase 400V air compressor by Workhorse, featuring a cast iron cylinder block. 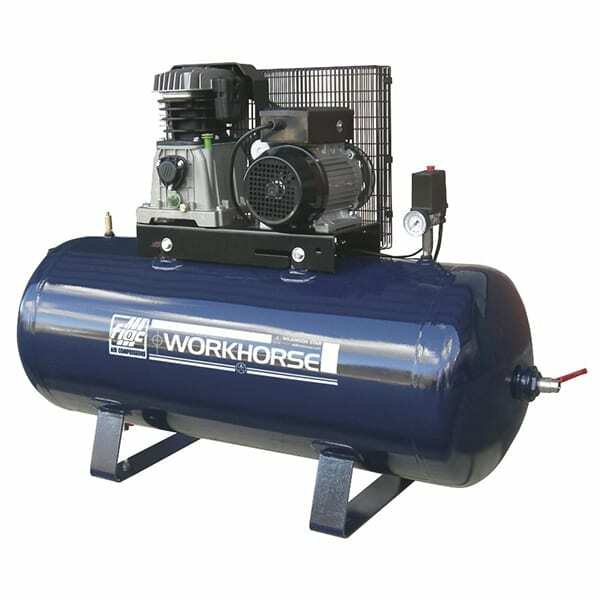 This static air Compressor features a 7.5 Horse Power motor, 270 Litre Air Receiver, with a maximum of 23 Cubic Feet per Minute. 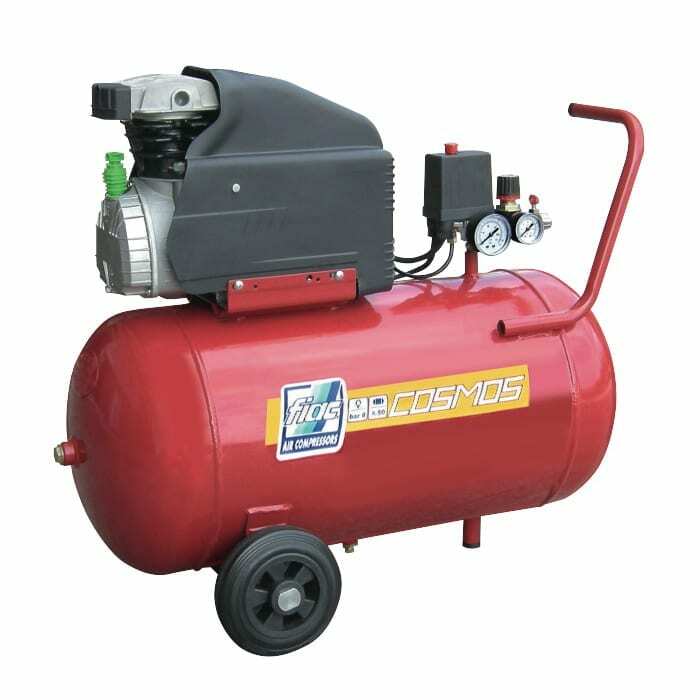 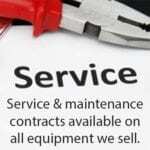 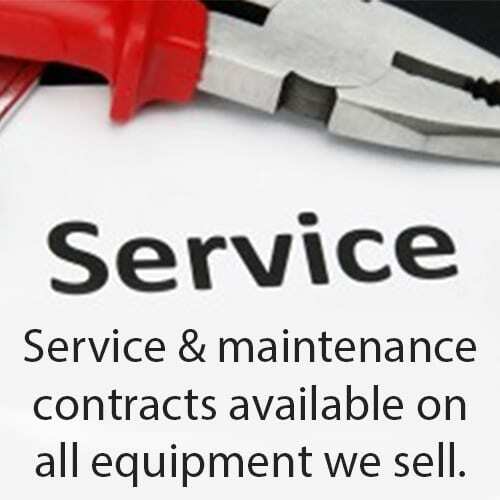 This Fiac Workhorse compressor is backed by a 2 year on site warranty. The Fiac Workhorse WRN75HP 270S Belt Driven Air Compressor is a three phase 400V air compressor by Workhorse, featuring a cast iron cylinder block. 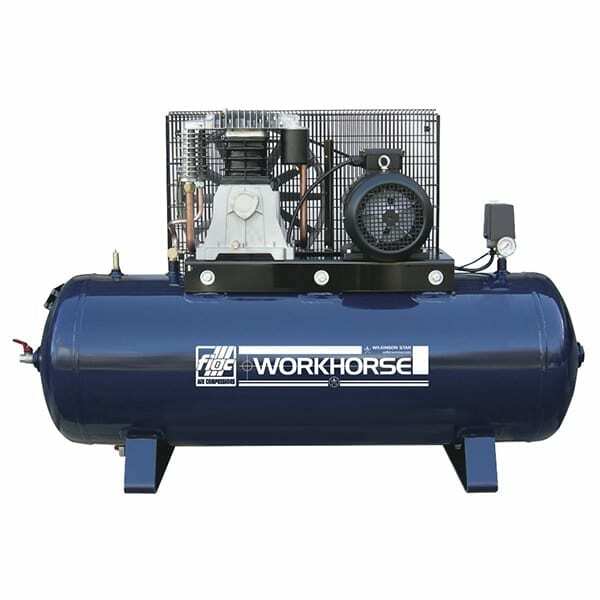 This static air Compressor features a 7.5 Horse Power motor, 270 Litre Air Receiver, with a maximum of 23 Cubic Feet per Minute. 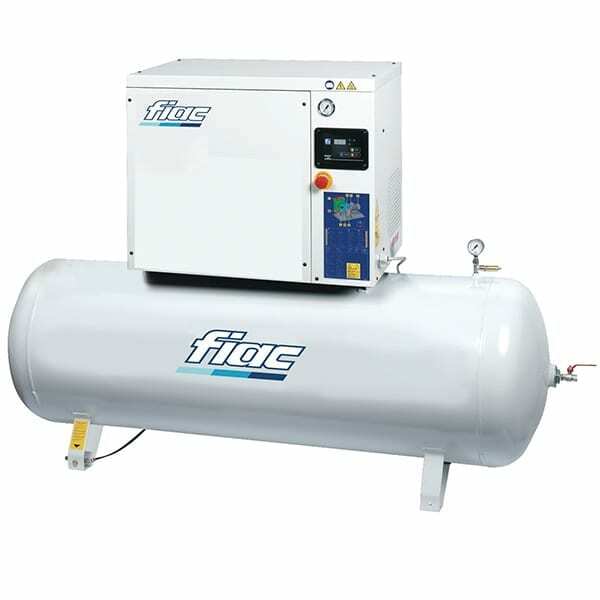 This Fiac Workhorse compressor is backed by a 2 year on site warranty.